Anthrenus verbasci (Varied Carpet Beetle). Size: approx. 3 mm. Photo: 02/14/15, 11 am. 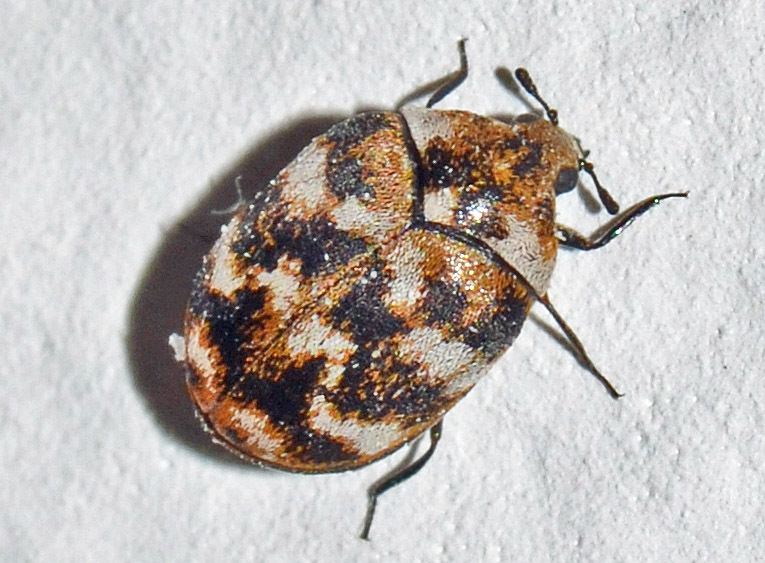 Great :( A carpet beetle. In their larval stage, they can damage natural fabrics but also feed on dust, lint, plant fibers, etc. One or two seem to be no reason to panic. I also read that they are a major threat to insect collections (don't have one) and essentially omnipresent in milk-powder factories. I found this one on our ceiling.